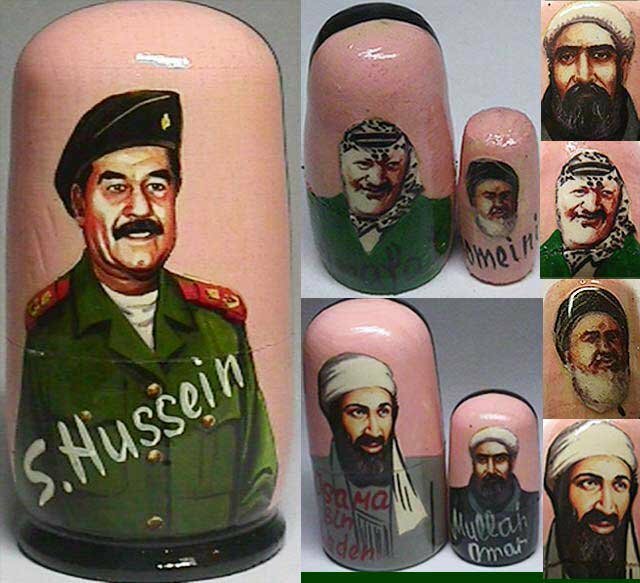 5 most odious Islamic figures on Russian nesting dolls: Osama Bin Laden, Saddam Hussein, Mullah Omar, Yasir Arafat and Ayatola Komeini. The subject of the painting is rather uncommon for traditional Matryoshka nesting doll. Decals are used. You can catch them all together.